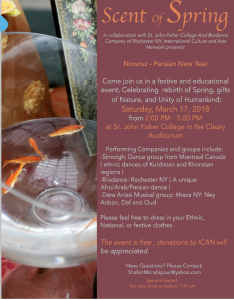 — Rochester City News Review by Rebecca Rafferty here. 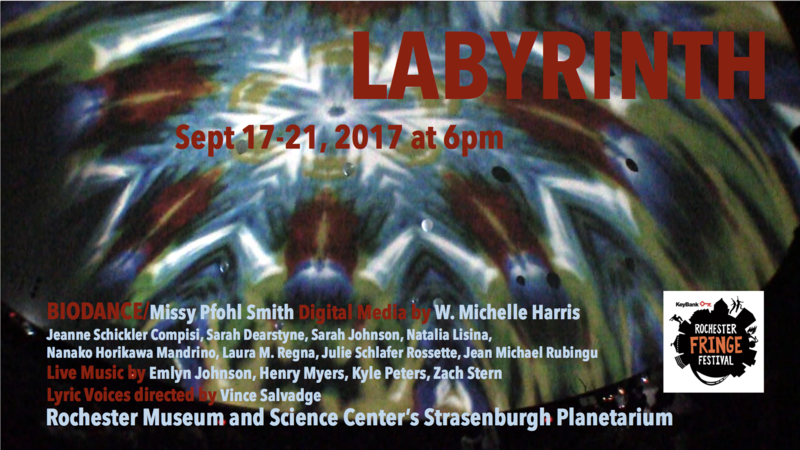 ROCHESTER, NY— Choreographer Missy Pfohl Smith, director of BIODANCE, and video artist W. Michelle Harris return to the Rochester Museum & Science Center’s Strasenburgh Planetarium for an all new work, “Labyrinth,” created for the 2017 KeyBank Rochester Fringe Festival. The same artistic collaboration produced the sold-out phenomenon “Anomaly,” presented at the Planetarium as part of the Rochester Fringe Festival in 2013 and 2016, called ” …a brilliantly crafted world of beauty, melody and calmness” by City News. 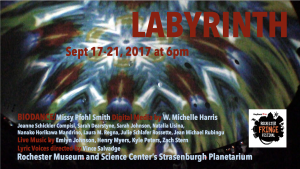 Labyrinth is not your typical dance or music concert, nor is it your typical visit to the planetarium, it is something entirely new, imaginative and immersive. 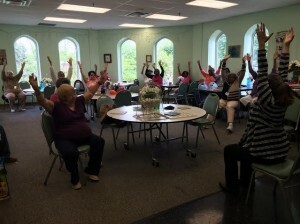 Joining the expressive performers of BIODANCE, including Jeanne Schickler Compisi, Sarah Dearstyne, Sarah Johnson, Natalia Lisina, Nanako Horikawa Mandrino, Laura M. Regna, Julie Schlafer Rossette, Jean Michael Rubingu, and Missy Pfohl Smith, is W. Michelle Harris with live cinematic mix. 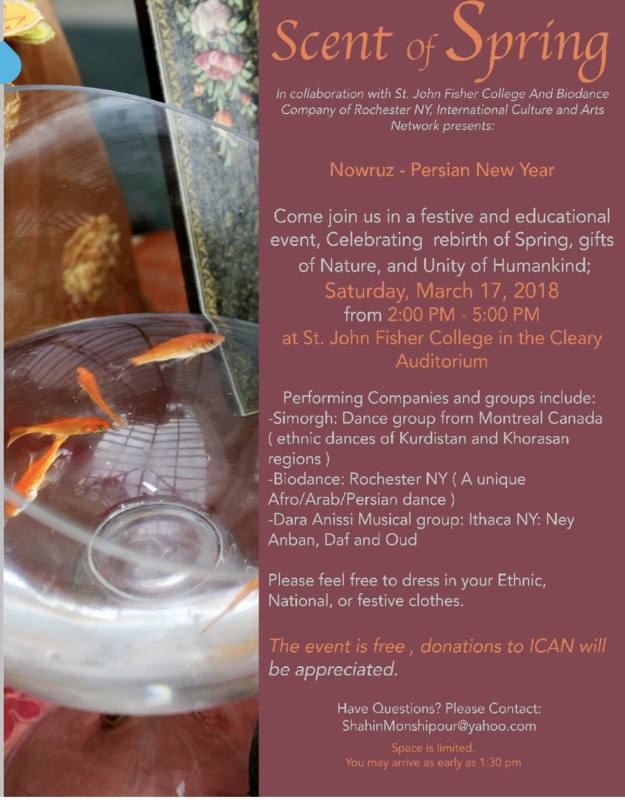 Live music performance by Emlyn Johnson (flute), Zach Stern (saxophone(s)) and Henry Myers (cello), with advising from conductor Eric Laprade, all from Eastman School of Music, and the young vocal talent of Lyric Voices under the direction of Vince Salvadge will round out this large scale collaboration. 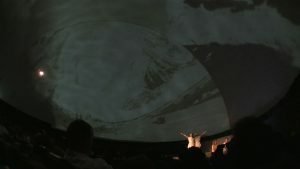 Stanzi Vaubel, the site-specific visual and performance artist who is also an accomplished cellist, is joining the team of creatives, alongside costume designer Jennifer Rubens. 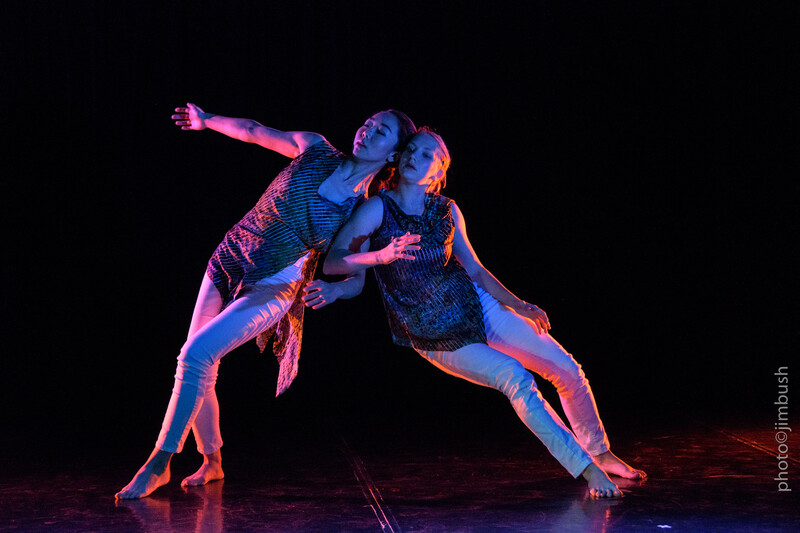 BIODANCE sold out four of the five performances (with only 20 seats left for the entire run) of “Labyrinth,” Sunday, September 17 through Thursday, September 21 at 6pm each day. Tickets were $12, available at http://rochesterfringe.com/tickets-and-shows/labyrinth. BIODANCE is a Rochester-based repertory dance company under the direction of Missy Pfohl Smith, who also directs the Program of Dance and Movement at University of Rochester. 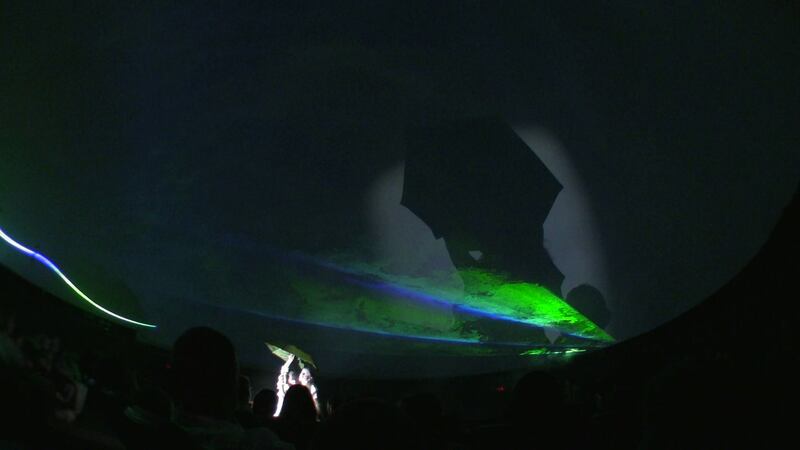 BIODANCE collaborates with multi-disciplinary artists, such at W. Michelle Harris, an Associate Professor in Interactive Games and Media at RIT. BIODANCE made their debut at the Edinburgh Fringe in August 2017 to sold out houses, and has shared its work nationally and internationally. 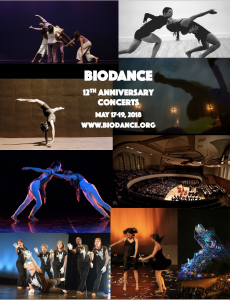 Visit Biodance.org and connect with us on Facebook, Twitter, YouTube, Vimeo and Instagram.